Rent Costanoa Resort | Corporate Events | Wedding Locations, Event Spaces and Party Venues. Costanoa is an eco adventure resort designed to encourage our guests to explore the stunning beauty of our protected California coastline and Discover the Pace of Nature. Whether you would like to explore our General Store, stocked with items that highlight the talents of the many local artists in our area, or catch up on family time with local live music at our Pine Tent BBQ, we have the amenities to make your stay a comfortable one. 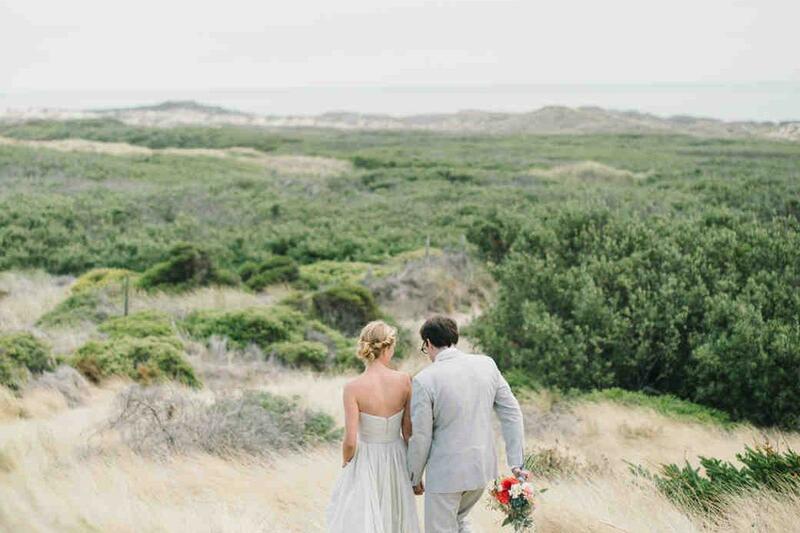 Nestled at the base of the Santa Cruz Mountains, overlooking the Pacific Ocean, Costanoa offers the perfect setting to celebrate your marriage with family and friends. Surrounded by endless acres of undisturbed wilderness, rolling coastal hills, rugged bluffs and secluded beaches, Costanoa invites you and your guests to explore the extraordinary beauty of California's scenic coast and experience nature in its purest form. Our event staff will work with you every step of the way to coordinate your ceremony, select menus for your reception and assist in the planning of your rehearsal dinner, post wedding brunch or even an evening campfire with s'mores! From our years of experience, we have outlined a selection of wedding packages to suit your style. From farm to table, our culinary team specializes in preparing and presenting cuisine that highlights the locally grown produce and adheres to the guidelines of the Monterey Bay Aquariums "Sustainable Seafood List." During your stay, the Costanoa Activities Department can facilitate customized recreation and adventure activities for your guests such as hiking, mountain biking, horseback riding and kayaking. While we handle the wedding details, The Spa at Costanoa offers a variety of treatments to put you at ease. Invite your guests to encounter nature in its purest form by allowing them to choose from our exclusive Lodge Rooms, cozy Douglas Fir Cabins and unique Tent Bungalows. We have a variety of accommodations to fit everyone's budget so all of your guests can discover the pace of nature in style. With the right blend of natural beauty and sophistication, your wedding at Costanoa will be just the way you dreamed it would be. Get out of the box and into nature at Costanoa where the pristine surroundings inspire innovation and creativity. Each of our meeting spaces feature large windows and outdoor patios to encourage you to step outside for a breakout session. Take a much-needed break with one of our custom group activities such as a naturalist led hike, organized scavenger hunt or kayak adventure. With wireless internet access, an extensive range of audio visual supplies and all of the tools you need to make your point, Costanoa is a destination everyone will agree on. From farm to table, our catering menus highlight the locally grown produce and sustainable seafood of the California coast. As a favorite Northern California destination for corporate planning, executive business retreats or group conferences, at Costanoa your team will be inspired.